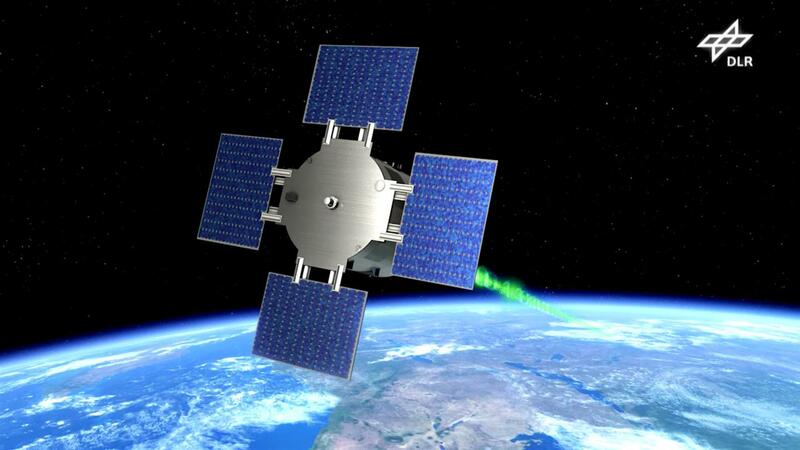 The Eu:CROPIS satellite developed by the German Aerospace Center (DLR) will be launched in 2017. It will rotate around its own axis to simulate the lunar and Martian gravity needed for two greenhouses located inside. Engineers at the DLR Institute of Space Systems put the various models of the Eu:CROPIS satellite through their paces with various tests. Construction will now start on the flight model following successful completion of tests on two Eu:CROPIS satellite models. 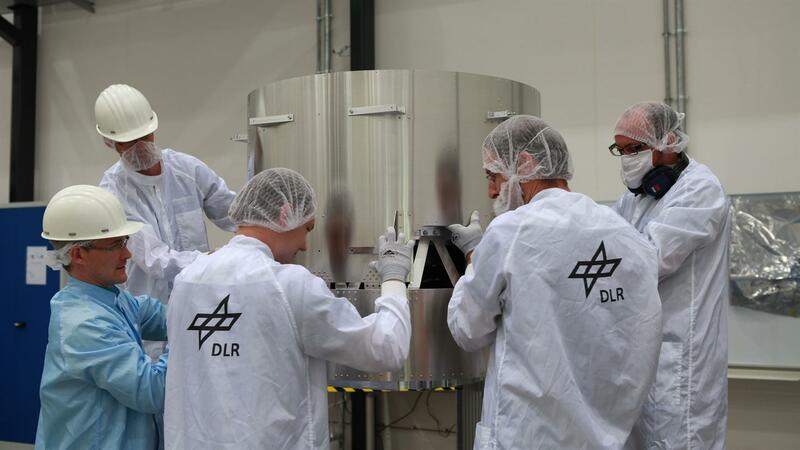 The DLR satellite is earmarked for launch in 2017. Space missions are a bit like a marathon with checkpoints – only once the first model of a satellite has been successfully tested will construction commence on the actual flight model. 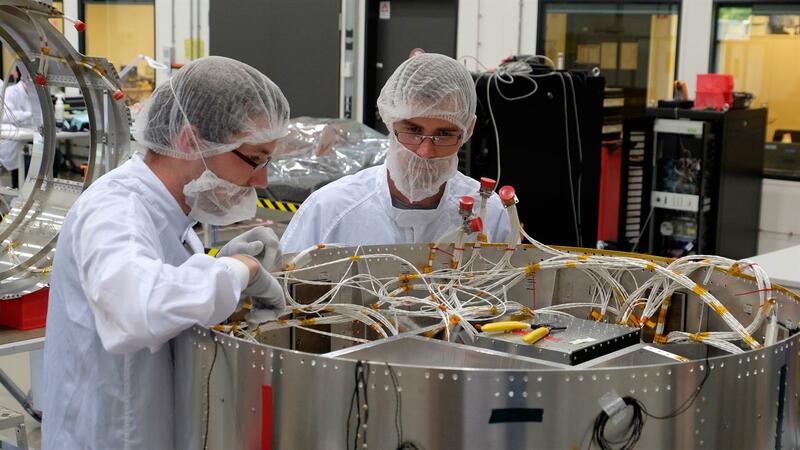 The Eu:CROPIS satellite developed by the German Aerospace Center (Deutsches Zentrum für Luft- und Raumfahrt; DLR), which will operate two greenhouses under Martian and lunar conditions, has now reached this milestone – construction of the flight model can now begin. The finish line is already in sight: launched by Space-X, the satellite and its scientific payload will take off for outer space on board the Falcon 9 in the second half of 2017. "We will be constructing the model here at DLR Bremen until spring 2017, and then conduct rigorous flight tests," explains engineer Hartmut Müller, Project Manager for satellite construction at the DLR Institute of Space Systems. 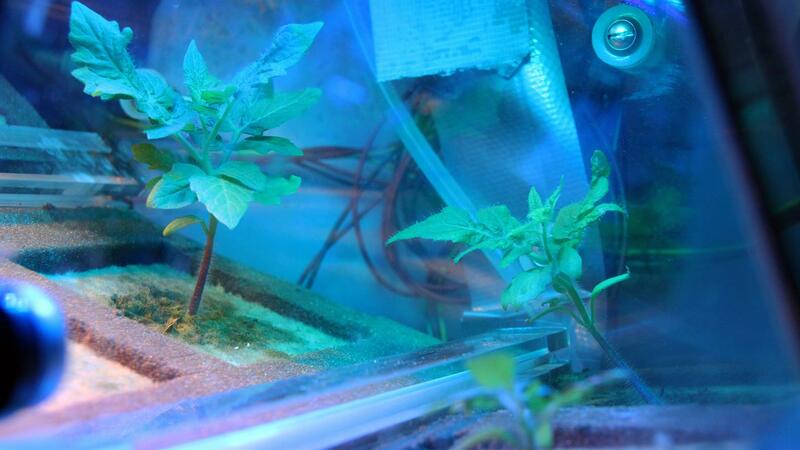 "Ultimately, we are simulating and testing greenhouses that could be assembled inside a lunar or Martian habitat to provide the crew with a local source of fresh food. The system would do this by managing the controlled conversion of waste into fertiliser," says DLR biologist Jens Hauslage, head of the scientific part of the mission. In a lunar habitat, for instance, the greenhouse would be located in the astronauts' 'home' in a simulated Earth atmosphere. Urine would be one of the waste products the astronauts would produce in abundance. Here, the plants would have to adapt to reduced gravity conditions – the gravitational pull on the Moon is approximately one sixth of what it is on Earth, and on Mars it is around one third. "A compost heap used for recycling purposes would not be controllable on a space station or in a habitat, which is why we use our trickle filter C.R.O.P. It fulfils the same function as normal soil, but is controllable." This is why the lava stones fitted in the trickle filter will initially be 'infected' with dried soil before Eu:CROPIS is sent off on its journey. This inoculation will allow a variety of organisms to settle in the porous, expansive surface of the lava stone, which they will use as a habitat. Once it reaches space, synthetic urine mixed with water will be trickled on the habitat every two to three days, triggering a true competition for food between these microorganisms. Here, nitrite is used to convert the harmful ammonia into nitrate, which is then added to the tomato seeds as fertiliser. Once Eu:CROPIS and its scientific payload have reached space, the first stage will be to activate the greenhouse that will simulate a lunar environment. During this phase, the satellite will be controlled by the DLR control centre in Oberpfaffenhofen (GSOC; German Space Operations Center), while the greenhouse will receive its commands from the DLR control centre in Cologne (MUSC; Microgravity User Support Center). The trickle filter, with its ravenous inhabitants, will be operated by the DLR Institute of Aerospace Medicine, and the Friedrich-Alexander-Universität of Erlangen-Nürnberg will contribute the euglena. The second greenhouse with Martian gravity will be activated six months later: by then, the microorganisms, tomato seeds and euglena will have been exposed to cosmic radiation for six months – the equivalent to a flight to Mars. The DLR Institute of Aerospace Medicine will measure the radiation exposure inside and outside the satellite throughout the entire mission. "We are using Eu:CROPIS to space test technology for use in habitats on other celestial bodies, but it could be installed just as well in a terrestrial setting," Hauslage. For instance, trickle filters can be fitted to make manure more effective and less odorous. Recycling urine in conurbations, for instance in greenhouses installed in high-rise buildings (vertical farms), would be another possible use.